In addition to manufacturing Industrial Curtain products, TRAX also offers Welding Screens & Curtains, Bulk Roll Materials, Back Flow Valve Covers, and Air Doors / Air Curtains. 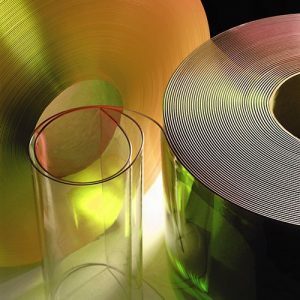 Bulk roll materials are available from TRAX in a wide range of widths, thicknesses, colors, and formulations for use as either replacement strips or for do it yourself strip door, curtain, or partition projects. A variety of mounting hardware components and replacement parts are also available. Back flow covers from TRAX Industrial Products are filled with R 13 insulation to protect your back flow valves and other industrial pipes from freezing weather as well as from unwanted tampering. 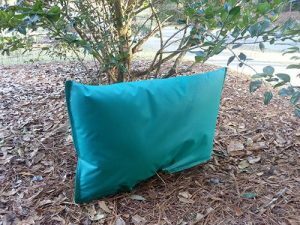 The forest green color blends in with your landscaping to provide a more aesthetically pleasing environment than uncovered valves and pipes. Using mildew resistant reinforced vinyl fabric, each back flow cover is fabricated to your requirements and specifications. Appropriate attachments materials and accessories such as velcro, zippers, snaps and/or turn buckles make these covers truly custom for each individual application. Should forest green not be you color of choice, other colors are available including black, red, white, blue and others. 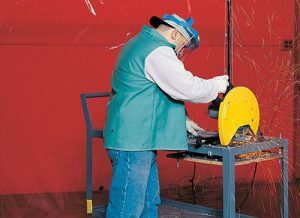 TRAX welding screen & curtains provide protection against hazardous glare and sparks from welding operations and prevent serious eye damage while also providing portability. Serious eye damage can be prevented by screening out the harmful effects of U.V. rays. All TRAX Welding Curtains allow crucial visibility into the work area. Air doors and curtains distributed by TRAX Industrial Products provide energy savings, comfort, and insect control for any opening, from a 3′ high drive-thru window to a 30′ high dock door. 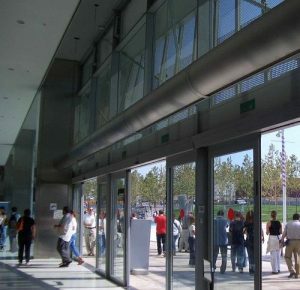 Both Commercial and Industrial air doors and curtains have widths up to 8′ and heights up to 12′. In addition to temperature and flying insect control, applications include preventing wind borne dust, pollen, smoke, and odors. 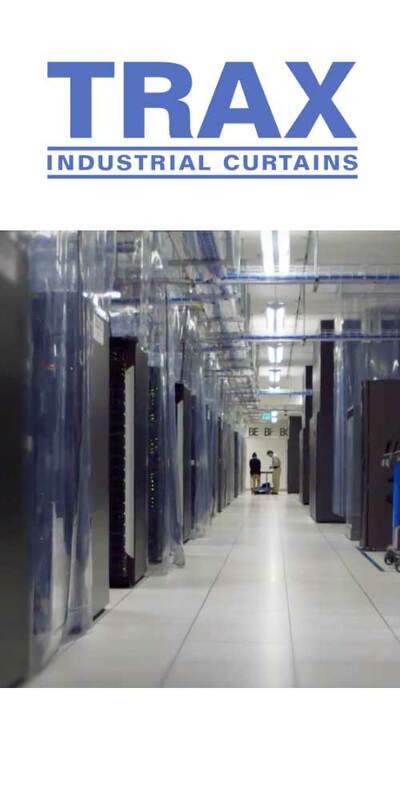 Air Doors & Curtains serve a number of industries including bakeries, cafeterias, commercial kitchens, distribution centers, food processing plants, restaurants, and warehouses. Manufactured in the USA, all Air Door & Curtain products sold by TRAX are are available in heated or unheated versions. TRAX industrial curtains and other products are being used by facilities in various industries all around the world.